The year has opened very well for Dhanush what with his career best performance in Vetrimaaran’s exquisitely researched and shot Aadukalam. Seedan, releasing this weekend, will have Dhanush in a very momentous role in the movie that leads the movie to its climax. Dhanush is said to have worn just one set of costume for the entire duration of his role in Seedan. Seedan is the remake of the Malayalam movie Nandanam, written and directed by Ranjith. One of Navya Nair’s earlier films in Malayalam, the movie also earned her Kerala State Award for best actress. Nandanam is also Prithviraj’s debut movie. According to Nandanam’s story line, the movie revolves around an orphaned girl who lives in a rich house as a housemaid running everyday errands for a bunch of old women. An unexpected visitor, in the form of the grandson of the old woman who owns the house, creates ripples in her life. The girl also shares a special relationship with Guruvayurappan with whom she is shown as conversing every day despite her inability to visit him in the temple. According to sources, Dhanush fills in the mysterious character that plays around with Balamani (the character played by Navya in Malayalam) leading her to a shocking realization towards the end of the movie. The lead role of the orphaned girl is played by Nadodigal’s Ananya while debutant Krishna performs the role played by Prithviraj. Seedan also has Suhasini, Sheela, Vivek, Ilavarasu and Ponvannan in pivotal roles. This drama is directed by Subramaniya Shiva for Amit Mohan’s production banner. 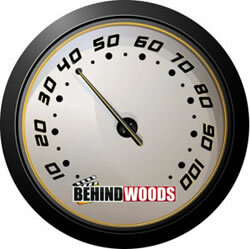 Dhina scores for the movie and Ramasundarshan handles the editing part. Seedan is distributed by Myth Productions. Let’s hope Seedan retains its charm that helped the Malayalam original win awards and accolades.